"Replicants are the future, but I can only make so many." Warner Bros has revealed the third trailer for Denis Villeneuve's Blade Runner 2049, the highly anticipated sequel to the seminal sci-fi classic Blade Runner from 1982. The second trailer was already incredible, but this one is even better, if you can believe it. This movie is now my *most* anticipated left in 2017. 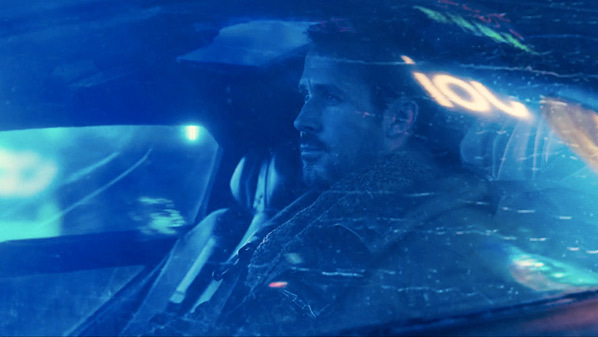 This direct sequel takes place 30 years after the original, and stars Ryan Gosling as the new LAPD Officer who must find Deckard, who has been missing all this time. Harrison Ford returns to play Deckard, and the new cast of 2049 includes Ana de Armas, Jared Leto, Dave Bautista, Mackenzie Davis, Robin Wright, Barkhad Abdi, Lennie James, and David Dastmalchian. Everything about this looks amazing - the score, the visuals, performances. Chills. You can still watch the very first teaser for Blade Runner 2049 here, or the second trailer / BTS featurette.